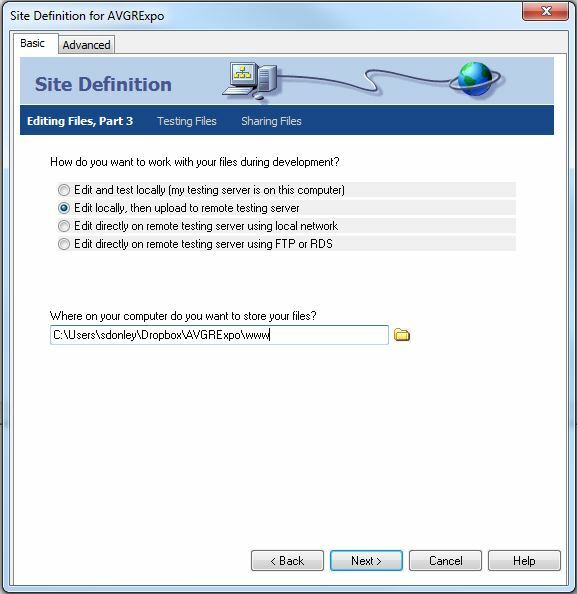 Defining a New Site in Dreamweaver MX : DNS Technology Consultants, Inc.
After you have the software installed, you will need to connect Dreamweaver MX to the directory for the site. You could connect Dreamweaver via FTP to the site on the server to modify the file directly; however, at DNSTC we recommend modify the files in a local directory and then FTP the files up to the server. This helps with having a backup, as well as, having a way to fix issues if you have a coding problem. Before you connect the site, you need to decide where you will be storing the source code. It is recommend to use the DNSTC standards on the folder structure so that the site is the same as other DNSTC maintained websites. Once you have created this folder structure, you are now read to connect Dreamweaver to the site. 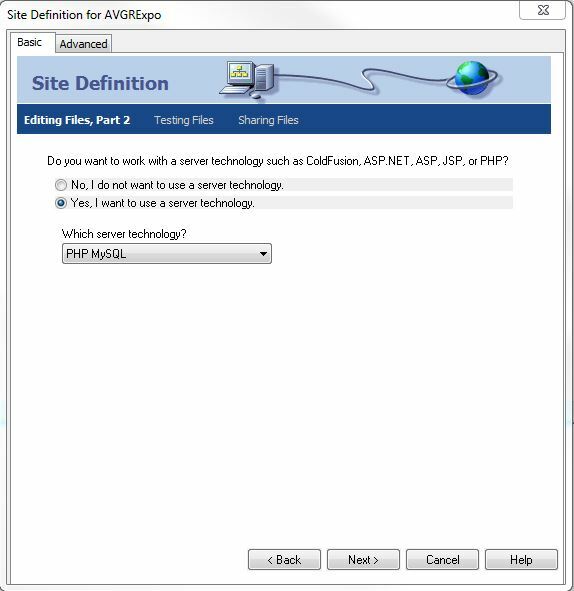 The following is the procedure to setup the new site using the wizard program. On the next screen, make sure that Edit locally, then upload to a remote testing server is selected, and on the browse option, browse to the location of your folders and select the www folder, and click Next. NOTE: There is a small bug here in the program. Even when you select the www folder, it does not add it. So just type it in on the end. For the How do you connect to your testing server? Select Local/Network, then click the browse button again and select the same folder (www) as the previous step. Then click Next. Under site definition, enter the URL of the website. Then click Next. Under sharing files, select No, do not enable check in and check out. Then click Next. If everything looks ok on the screen, click the Done button. You should not be connected to the site, and ready to start creating pages.